No, not Dustin Hoffman. Me! 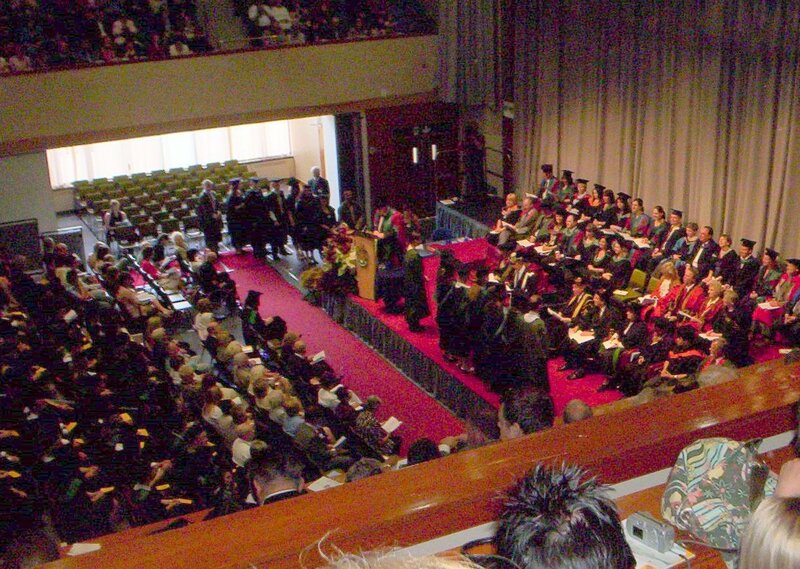 Last week I went back to Aberystwyth for my graduation ceremony, and am now officially a Bachelor of Arts. It was a really great time for all of us to meet up again and celebrate three years of hard work. Well . . . occasionally challenging work spread out intermittently over the last three years. The main ceremony took place in the Aberystwyth arts centre, a great venue which normally presents both local and professional productions, and is very conveniently located right in the middle of the University of Wales, Aberstwyth main campus. The whole thing was rather more formal than I was expecting, and being Aberystwyth, and more than a little Welsh. Although the speeches were in both Welsh and English, we couldn’t understand what the Vice Chancellor said to us as we were presented to him, there was a musical interlude with a harp, and even one group on stage consisting entirely of Jones’s! Although I had never met the Vice Chancellor before (he may have given speeches during freshers week, but that is now mainly a blur to me), I had met the Sub-dean of the faculty of arts, who read out our names as we were being presented, several times. Mainly as he had given several lectures I had attended (my favourite of which was entitled “Science Fiction. Well . . Doctor Who“), and was also my dissertation supervisor. The rest of the week was also a great time to meet up with friends again, before getting the worst train (and coach, and taxi) journey I’ve ever had home, and then straight back to work. So I’m now pretty much where I was four years ago, only having spent £12,000 on six letters and two brackets. It’s only a Mickey Mouse degree because I could have studied Mickey Mouse! If you don’t understand half of that, that’s because half of it is in welsh, but basically it means I’m clever!!! And that I now owe £12,000.